Now you may say I misled you last week when I said that this week’s topic would be “the sweep of time” and now I’ve gone and added in “war without end” as well: how does that work, you may well ask. Now I could say that it’s for no reason at all (at all!) other than that in the final analysis I liked today’s heading best. As the blog owner, editor, and poster-in-chief, that is of course my privilege but I’d like to assure those following this series that both are equally appropriate to today’s post. A sense of time’s past/the sweep of time/and-or the immensity of time for that matter are the natural corollary (imho at any rate) to the preceding two topics, which are #4 Apocalypse Now and #5 Meet The “Big Bad.” In these prior posts I’ve discussed the debt that epic fantasy, via JRR Tolkien, pays to the doom-laden Germano-Norse myth cycle and the prophesied “Twilight of the Gods”, known as Ragnarok. The notion of a “Big Bad” antagonist sufficient to bring the apocalypse down on the heads of our unfortunate protagonists goes hand-in-glove with the cataclysmic doom—and so, too, I would argue does the epic tale’s sense of the sweep of time. The reason for my view is that the conceptual power of the Big Bad and the profundity of the apocalyptic doom are both enhanced by being part of a vast time period, which places the protagonists’ (current) conflict in the context of something larger and more enduring. 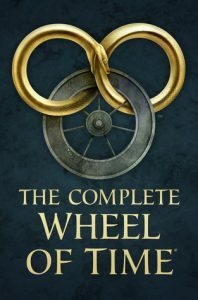 This tradition is captured in the series title of Robert Jordan’s Wheel of Time with all the epic and prophecy-fulfilling events being seen as a replay of earlier events: for example, the Dragon Reborn and the Breaking of the World. In this sense the Wheel Of Time series can trace its lineage as far back as the ancient Egyptian era, in which the myth cycles focused on important events recurring through time. 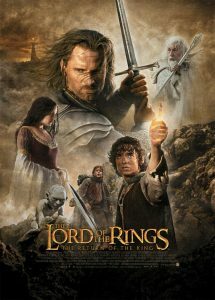 The immensity of time is an important part of The Lord of the Rings as well. To date, I’ve pointed to Tolkien’s work being grounded in the myths of his Anglo-Saxon/Norse specialty. But in this particular aspect, his storytelling also links to the Greek myths, which were based on the idea of “ages of the world”, specifically the Golden, Silver, Bronze and Iron Ages. In The Lord of the Rings, the (renewed) struggle against Sauron takes place at the end of the Third Age of the world (aka Middle Earth.) As the story unfolds, the reader learns that the preceding Second and First Ages (each of which is many thousands of years long) also culminated with epic conflicts. At the end of the First Age, the Valar (aka gods) fought with elves and men to defeat the fallen Valar, Morgoth. The sweep of time and titanic struggles are both grounded in mythology, but I also wonder if the events of Tolkien’s time did not play into the backstory of his epic tale. Tolkien fought in World War One, which at the time was described as “the war to end all wars.” Yet twenty one years later, the same countries were engaged in a second and even larger geopolitical conflict. So this may well have influenced Tolkien’s work. Arguably, the impact of these two major, twentieth century wars influenced not only Tolkien and his generation, but those that followed, since legacies such as the Iron Curtain and the Berlin Wall continued until the end of the 1980s. 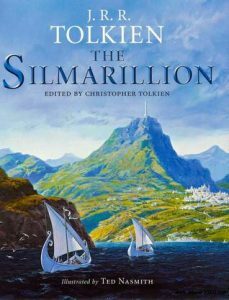 The persistence of the ‘war without end’ and ‘sweep of time’ tropes in epic fantasy, therefore, may not be entirely attributable to either the mythic tradition or Tolkien’s influence alone. It was “in the air”, as Ursula Le Guin would put it, and as such has manifested in our storytelling, particularly in a genre that already inclines toward such themes. 1. I think of it as the Magician trilogy, because Magician, Silverthorn, and A Darkness At Sethanon by Raymond E Feist were the founding series, but I believe the official title is the Riftwar Saga. As mentioned in relation to “Apocalypse Now“, the real nitty-gritty of “the sweep of time” and “war without end” is realized in A Darkness At Sethanon, the third and final book of the initial trilogy. Although keen to avoid spoilers, suffice it to say that a long forgotten and monolithically powerful “Big Bad” threatens to wreak doom, not just on Midkemia and Kelewan (the main Riftwar worlds) but on all worlds accessible by the Rift gates. 5. 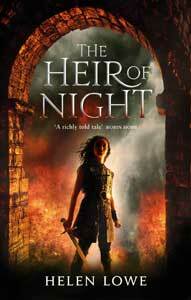 Guy Gavriel Kay’s Fionavar trilogy, Joy Chant’s Red Moon and Black Mountain, George RR Martin’s A Song of Ice and Fire (aka Game Of Thrones), Greg Keys’ Kingdoms of Thorn and Bone; and Kristen Britain’s Green Rider series all fundamentally follow The Lord of The Rings / Wheel Of Time tradition of having a Big Bad (or form of Big Bad in the case of Martin) that was imprisoned or last seen ‘ages of the world’ / ‘time out of mind’ ago and which is now returning or breaking free—or in Martin’s case, being released by the return of Extreme Winter. In Steven Erikson’s Malazan: Book of the Fallen series — over ten books and with casts of ten thousands, too 😉 — the same trope also plays out. Brandon Sanderson does it slightly differently in the Stormlight Archive by having both the heralded return of an ancient evil and a monolithic force of nature (the ever-storms/Storm King) invoked by a dispossessed people. But those who’re au fait with the traditions can still touch their caps to the sense of times and events recurring and to an evil that has been contained being released. 6. In another epic ‘cluster-muster’, the following series — Kate Elliott’s Crown of Stars with the Aoi; Elspeth Cooper’s Wild Hunt (with both the Nimrothi Clans and the Wild Hunt itself); the Norn in Tad Williams’ Memory, Sorrow and Thorn; and the Westfolk/Elcyon Lycar (among others) in Katharine Kerr’s Deverry series — are all based around the concept of an ancient antagonist, who may/may not have been a Big Bad, as opposed to an Other, exiled or forced out of their ancient homelands “aeons ago.” The threatened undoing of this exile, either by the exiled themselves or brought about by other forces, threatens to unleash cataclysm and (renewed) war upon the protagonists. 7. Continuing on with the “not-one-dimensional” theme, Laini Taylor’s Daughter of Smoke and Bone trilogy, which as I’ve suggested previously has many epic elements, if not becoming outright epic fantasy as it progresses, also marks the end of an enduring conflict. In addition, the Big Bad that has sparked the conflict on the world of Eretz (by causing one set of antagonists to flee there) is now threatening to break through the dimensions—described as a kind of “chain of worlds”—not just into Eretz but also to Earth. 8. In NK Jemisin’s Inheritance series, which as you may recall from the Apocalypse Now post is all about a war between the gods, the story picks up at a point where the conflict has endured over a considerable span of time and seems set to revolve through several more iterations. 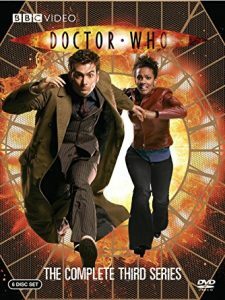 The twist Jemisin adds in is to recast the treatment of ‘good’ and ‘bad’ with a chaos and order theme. 9. On the surface, Joe Abercrombie’s Shattered Sea series (which begins with Half A King) may not appear to use the “sweep of time” and “war without end” tropes. There’s certainly war in the series (the third book is even called Half A War), but it’s more of a real time conflict. However(z), the Shattered Sea countries and cultures are based on an older civilization that has suffered a catastrophic war, reminiscent of this world and a nuclear holocaust. Although there is no “Big Bad” breaking free and/or poised to return, the use of technology from the prior civilization presents a threat and a moral/ethical dilemma for the protagonists in the “present time” of the series. In Robin Hobb’s Farseer trilogy, the underlying premise is that the Six Duchies must be saved from the Red-Ship Raiders and the process of “Forging”—but as it turns out, this may not be a new war, but only another phase, its origins part of the lost history of the realm.